Why your house isn’t selling - Natalie Gregory & Co.
As of October 2018, the typical Atlanta home spends 73 days on the market. It can be frustrating when your home sits unsold for longer than expected – even after you’ve put considerable effort into getting it ready for a sale. So why are buyers ignoring your home? According to The Balance, only 10% to 20% of residential real estate transactions are completed without the involvement of an agent in any given year. These transactions are called For Sale By Owner (FSBO). 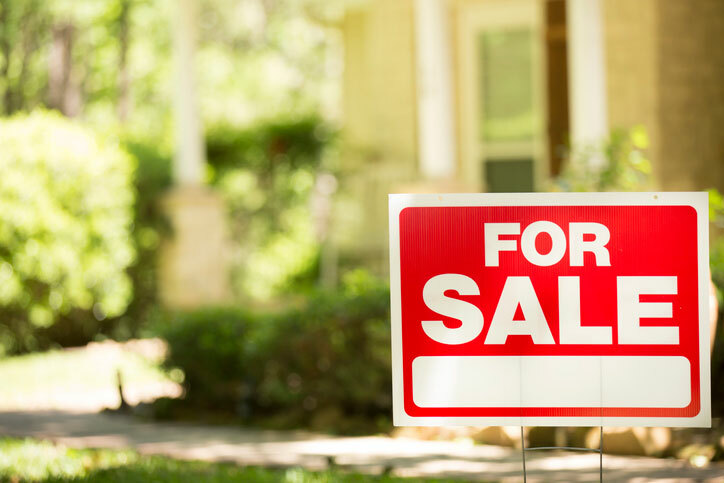 It might be tempting to strike out on your own, but selling your home without the services of an experienced listing agent may be a recipe for disaster. Although sellers believe that they can save thousands of dollars by not using an agent, they can lose just as much money by not hiring one. A realtor brings skill, insight, knowledge, and resources to the table and acts as your advocate throughout the selling process. They’ll tell you how to increase the value of your home and educate you on trends and developments affecting your decision to sell the property. They can also market your home, leveraging their professional network to give your listing maximum exposure. If you’re putting your home on the market, let me, Natalie Gregory, talk to you about Atlanta home values and other factors affecting the sale. Call me at 404.550.5113 or send an email to Natalie(dotted)Gregory(at)Compass(dotted)com. Interior design trends are constantly changing – curved lines and luxurious fabrics are in, and Night Watch is PPG Paints’ Color of the Year for 2019. If your home is stuck in the early 2000s – or the 1990s – it’s time to redecorate. Consider painting the walls a new color and replace dated furniture with trendier pieces. Don’t feel like keeping up with the latest trends? Keep it classic – when selling a home, your best bet is neutral décor. Paint the walls and ceiling a neutral color and depersonalize the space by putting away your personal effects. Your home needs to be in top condition if you want to get high offers. Make obvious repairs, and replace damaged tiles, window frames, doors, and fixtures. You can also make upgrades – have some quartz or granite countertops installed, and bring in some brand new appliances. It doesn’t matter how amazing your property is if you can’t convey it in your listing. Be sure to describe the home in a way that appeals to buyers. Play up its strengths and unique qualities, and put a positive spin on its weaknesses. Provide specific details such as the number of bedrooms and bathrooms, the size of the lot and the house itself, the number of cars that can fit in the garage, the year of construction, and so on. A picture is worth a thousand words, and nothing is truer in real estate – the majority of buyers start their search online and they rely on photos to decide whether or not a property is worth seeing. Many sellers hire professional real estate photographers in order to produce high quality images for their listings. In fact, I use a professional photographer for all of my listings. When you need expert advice on selling your house, contact me, Natalie Gregory, at 404.550.5113 or Natalie(dotted)Gregory(at)Compass(dotted)com. My team and I have been named the Top Real Estate Team by the DeKalb Association of Realtors every year since 2009!